*TSA has evolved from a one-size-fits-all security screening approach to a risk-based, intelligence-driven strategy designed to improve both security and the passenger experience. This approach permits us to provide expedited screening for trusted travelers and to focus on high-risk and unknown passengers at security checkpoints. TSA uses millimeter wave advanced imaging technology and walk-through metal detectors to screen passengers. Millimeter wave advanced imaging technology safely screens passengers without physical contact for metallic and non-metallic threats, including weapons and explosives, which may be concealed under clothing. If you cannot or choose not to be screened by advanced imaging technology or a walk-through metal detector, you will undergo a pat-down procedure instead. You may also undergo a pat-down procedure if you alarm the screening equipment and/or at random. The pat-down will be conducted by a TSA officer of the same gender and you may ask that the TSA officer change their gloves before performing a pat-down. The TSA officer will ask whether you have an injury or tender area to treat such areas accordingly during a pat-down. 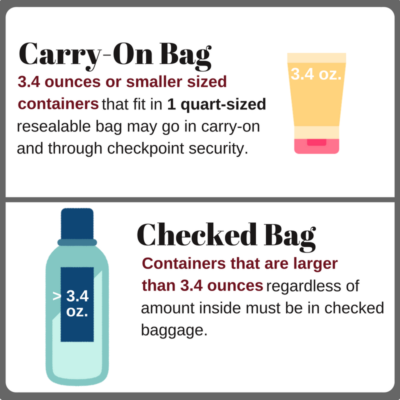 Standard screening requires you to remove your shoes, jewelry, anything metal, jackets, and electronic devices.